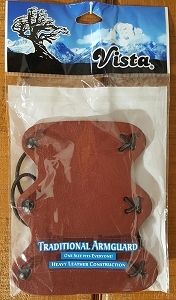 Vista Traditional Armguard- Leather Construction, One Size fits All -CLOSE OUT! Bear Long Bow Stringer - CLOSE OUT! 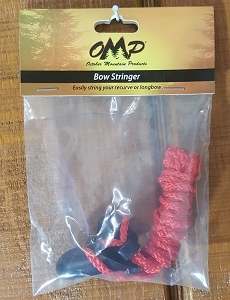 OMP Bow Stringer - CLOSE OUT! CALL US AT 877.410.7811 If the high-tech appeal of modern archery gear just isn't your thing, you might appreciate the old-school craftsmanship of traditional archery equipment. 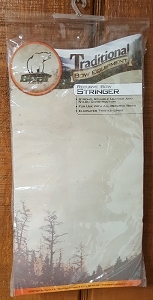 Over the past few years, many shooters have found themselves craving the primal challenge of the basic stick and the string. Traditional archery can be one of the most fun, relaxing and entertaining outdoor activities you will ever experience. There is no feeling quite like drilling the bullseye with only your instincts guiding you. If you're ready for the challenge, we would love to be part of it. Hunter's Friend offers a number of traditional recurves & longbows and we'll be happy to help get you setup with everything you need to start shooting traditional gear. We can't guarantee you'll shoot like Byron Ferguson, but you will surely enjoy the experience. If you're interested in traditional archery and you need more information, give us a call at 877.410.7811 or email us, chat, message, etc. and we'll talk it over.